Big ol’ stack of commissions on the go right now. I’m working on them folk! Hi there, we’re not sure who you are, but we’re pretty sure you know us. You probably know us really well actually, as you recently stole all of our luggage while we were on holiday. Well, that’s not fair, you did leave us with one salt and pepper shaker that was a gift, my 5 year old sons sandals and a 2014 Italian priests calendar. Those priests were pretty good looking, we’re baffled that you would pass them up. Anyway, we hope you’re well. Really, we do. We hope that our loss has provided you with your essentials for a while, food, shelter, warmth, security. Although I’ve never been in your position before, where I rely on stealing from others to make ends meet, I imagine it is not an easy life. I imagine you probably live in fear a lot of the time, fear of the culture you find yourself in, fear of the government, police, other people stealing from you. You must also look out at tourists like us with a great degree of resentment. Fisherman’s Wharf in San Francisco is filled to the brim of snap happy, money dropping, grinning ear to ear vacationers. To you, we must appear as the 1%, rolling in wealth and decadence. Although you might not believe it, this is really not the case with us. We are a small family from Australia. Myself, fiance, and our five year old son. For the past 6 years we have been saving money for our vacation. Working full time, doing extra jobs on the weekend. Making money where we can from our arts practices. What you took from us that day, were pretty much all of our possessions. We traveled to learn, to take part in arts workshops, to visit galleries, to exhibit paintings. In Florence, my fiance was taught the techniques of the old masters and created a reproduction of The Decameron (which you now have in your posession). She spent a month in Oaxaca, learning traditional wood carving and sculpting techniques (all of which you now have). 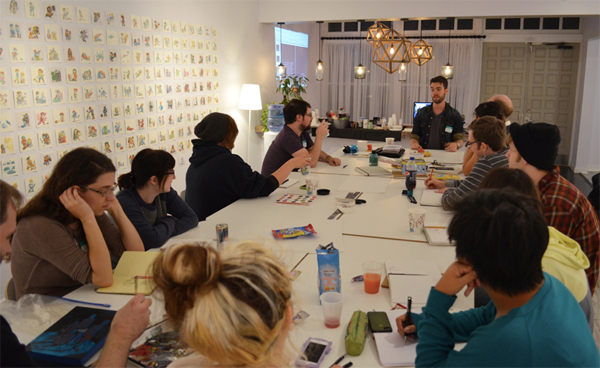 I went to Minneapolis to exhibit my paintings and run a comics making workshop (which you now have all the results of). We wonder if you were disappointed when you opened the bags. You were probably hoping to find a lot of electronics. Designer clothes, bags, shoes. Lots of brand names that would be easy to sell on. You would have found nothing like that. There were sketchbooks that my son filled while we sat on a balcony in Florence. There was a sculpture of a dog that my fiance spent a month carving in Oaxaca. There was a pomegranate perfume from the oldest pharmacy in the world. We imagine these are all in the bin now. We don’t know how you could make money out of our memories. It’s hard enough for us to do that. We have compiled a list of all the things of ours that you now have, but each day that passes reveals more and more. Today we had to trim our sons finger nails and realised that you took his nail clipper. We can’t imagine that it would fetch much on the after market. To us though, it was the clipper that we have used with him since he was first born. It is embedded with memories and emotions. My son cried when he realised you had taken it from him. We told him the clipper liked San Francisco so much that he decided to stay there. We lied. We keep telling ourselves lies like that as well. We keep lying to ourselves to keep from hurting too much. You might have thought that because we were on holiday, it was a victimless crime. That our insurance would cover it all. Well, because of the way you took the things from us, there’s a chance our insurance won’t cover it. We all know how vigilant insurance companies are in finding ways not to pay out. It’s not just our travel purchases either, it’s actually my sons entire wardrobe that you took. As well as the vast majority of my clothing as well. Like I mentioned earlier, we don’t have that many possessions, so we took everything that we would need with us. You also have all our dirty laundry. We’re not sure where that’s going to end up. Will you take it to the laundromat before taking it to a vintage store? Will you even realise they are dirty? Perhaps not. You took the jacket I was going to wear at my wedding, the one I picked up at a vintage store in Italy, as well as the shoes and belt my fiancé purchased at the same place, the ones she was going to wear. You took the mariachi suits that were made to measure for my son and nephew. They were going to wear them as ring bearers. There are lots of other things we purchased for our wedding in there. Nothing super expensive, you probably wouldn’t even recognise them, but they’re all in there. They were waiting for their moment. They were filled with such promise. All of our art supplies are with you too, I don’t know if you paint, or draw, but I hope you find them useful. There are hundreds of dollars worth of watercolours and oils. brushes and pens. More than that though, they are tools that we have discovered and chosen over years and years. Paints hand picked from small producers in Italy, Japan, the USA. Bone ash and bees wax, an alchemists tool set. Things that were perfect, just for us. I guess that’s what hurts the most. Yes, these are just things. but they were things we had chosen. Not because we were told to choose them, but because we loved them, because they were meaningful for us. Things that we were furnishing our nest with, building our future with, making our lives more beautiful with. 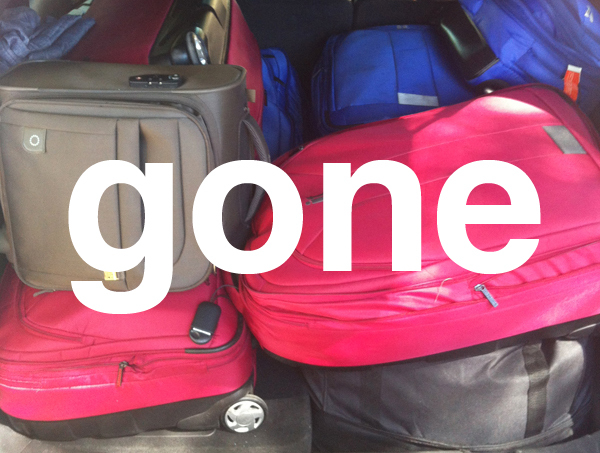 We wonder about how you took so much luggage from us in one go. I hauled it in and out of enough hotels to know how hard that is. Your life must be like that all the time, hard. Even this massive bounty of luggage you took from us must have been hard. The reselling of the items must hard. The burden of carrying so many stolen items must be hard. Knowing that you have robbed a father, a mother, a child, must be hard. We have spent the last few days in shock, but we have a plan. A plan to make things right and to reclaim the things that were taken from us. We will make our way out of this situation, rather than break our way out. This is our choice, this has been our choice from the beginning. The act of creation, to make things better. This is our plan for life, to keep making things better. For ourselves, for our families, for our community. We want things to keep getting better. We will make a painting of each item of our luggage. A small gouache painting of each item, and then write down our memories, our hopes. How it would have fit in to our lives back home. In doing so, while we won’t have the object itself, we will keep our intention. At the end of the year we will exhibit those paintings, to share with everyone our reclamation. If you are the person who took our things, we would love if you could return the pieces that you aren’t able to make money off. You could simply put them back in to one of the suitcases you took, our names are already on there, then drop them with the valet at the Hyatt on 555 North Point Street. Wear a cap and sunglasses, walk up casually, leave it there. No questions will be asked, we’d just really love to have back some of the things. Especially our personal items, like sketchbooks, diaries and the like. If you work at a vintage or op shop in the San Francisco bay area, you might recognise some of our things popping up. Obviously, there’s the big items like the luggage itself, but then there’s also all the individual pieces that might come through your store. If you click through here, you can find a listing of all the things we can remember. Even YOU can help, yes YOU. The person you doesn’t know anyone living in SF and can’t afford to buy. Just by sharing this article with as many people as you can you will be doing so much. In the mean time, I am hoping to raise money to replace some of the items, restock my art supplies, socks, underpants, work clothes. There’s a couple of ways I’m hoping to do this. 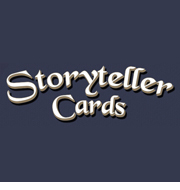 I usually sell them through Etsy, but because we’ve had to shut down our credit cards, I’ve also had to deactivate the store. I won’t be able to have it back up and running for a few weeks. If you’re interested in buying anything, then I have a paypal account. I sell a range of prints of my illustrations over on my etsy shop. Some of them have been quite popular. I have my Animal Crossing,Game of Thrones and Mount Triforce A3 prints available as well as my Legend of Zelda Isometric A4 size prints. I also have my Ninja Gaiden, Just a Girl square print available. 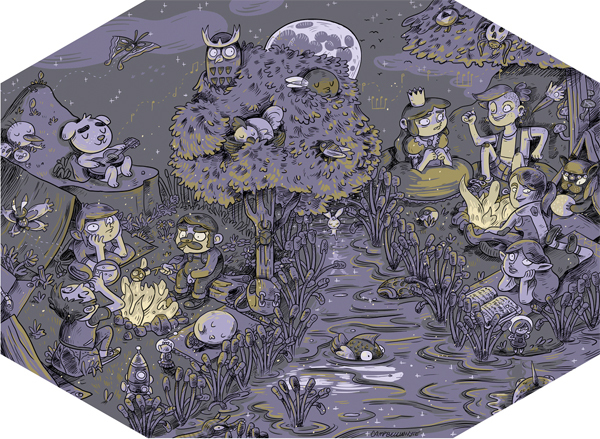 The Camp Nintedo prints should be available soon through Fangamer (with a portion of the sales going to me, so it all helps). All the prints are archival quality inks on thick high quality paper. A3 size prints are $30 and A4 size prints are $20. I am offering up commissioned illustrations again. I had stopped doing this last year to make time to work on my graphic novel, Home Time. 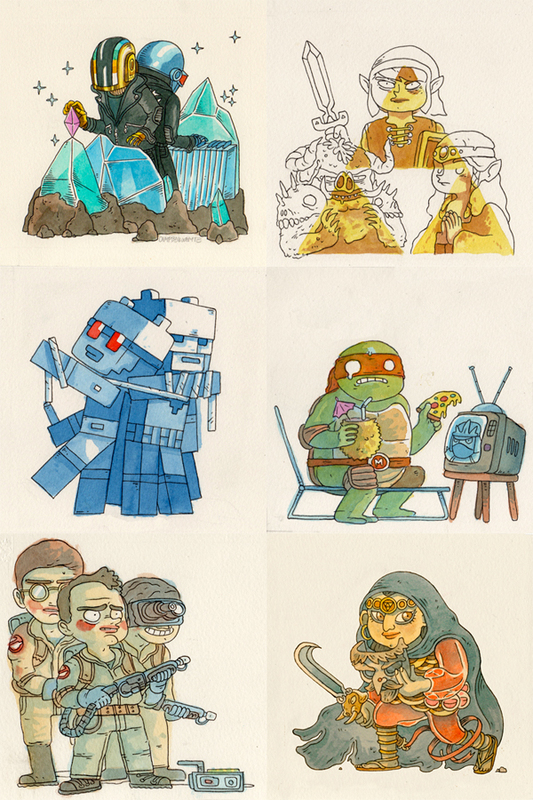 These commissions are in my 8 Bit Dreams style, which I am probably best known from. You can order one of those with any subject matter you choose for $50. Obviously i have done a lot of classic video games, but I have also covered comics, animated series, films, engagement illustrations. Anything you would like. All illustrations are 14cm x 14cm, ink and watercolour on thick archival paper. I’ve also done quite a few portraits for peoples role playing game characters. 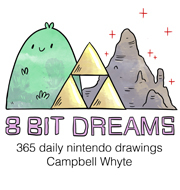 These are done in the same style as my 8 Bit Dreams and will include any and all features, items and details you’d like. 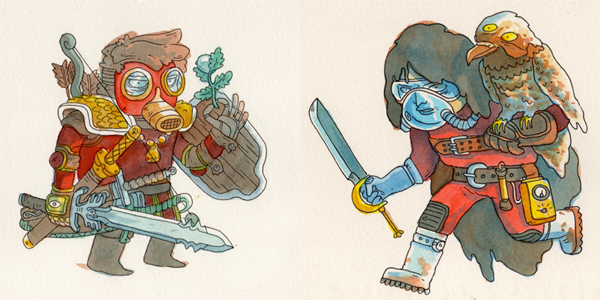 These are also $50 and I’ll ship the original illustration to you. 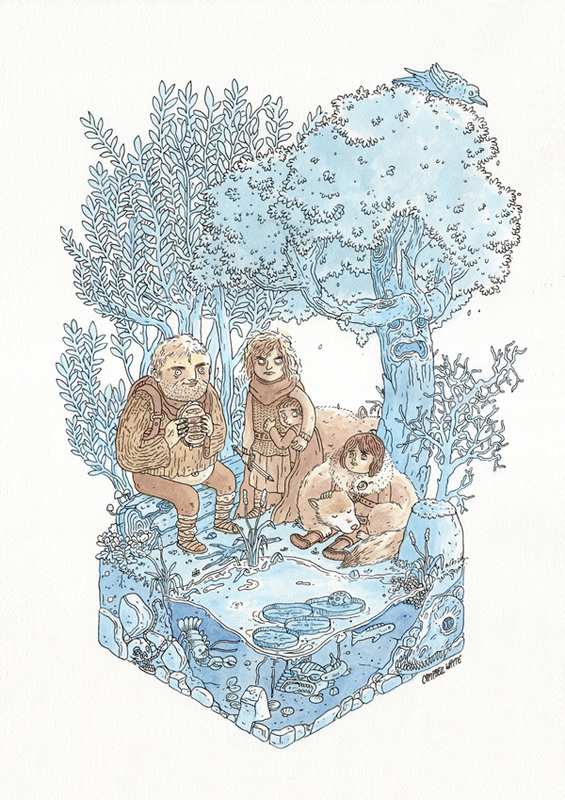 You can also commission an isometric illustration from me for $300, these are original ink and watercolour illustrations on thick paper. Again, you can commission one on any subject matter you choose. These are much larger and intricate works. 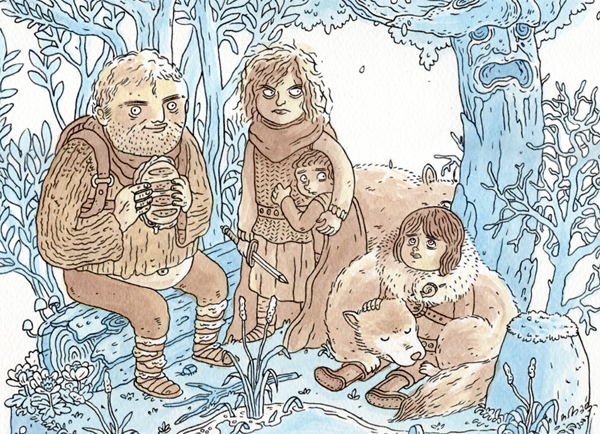 Above, you can see my Game of Thrones illustration. I love to throw in heaps of extra details, hidden in the forest there are imagery alluding to many of the houses in the series. I’ll totally go in to crazy detail for you if you choose one of these. You saw my Animal Crossing piece? It’ll be like that. I also run various comics making workshops in Perth, Western Australia. So if you are a university, primary school, library or arts festival who would like to book me in, I’m more than welcoming new workshop bookings. I have run workshops for children, at risk teens in the outer suburbs, at universities for illustration students and high schools. These workshops can be tailored to your needs and have been run at a variety of lengths, from drop ins, day long workshops to three day intensives. My partner is also an amazing artist and sculptor and is offering up a range of small needle felted dogs that can be purchased. These dogs were initially part of a project called Pup Pup is the Boss of the Stars that helped fund her attendance at various arts workshops. There are two kinds that are available. 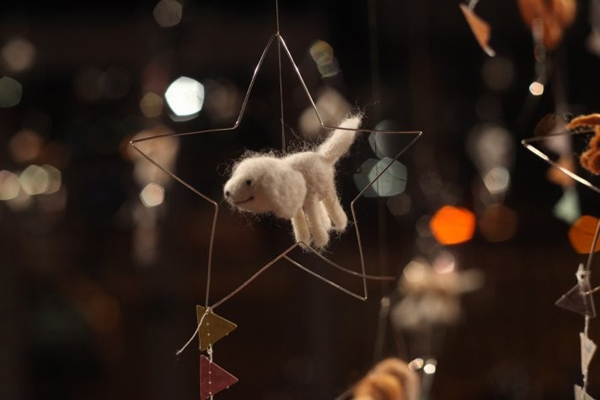 For $50 you can purchase a Corazon pup, the dog from her childhood, needle felted and suspended in a silver star. For $100 you can commission a needle felted version of your very own dog. An ongoing list of missing items. Obviously, with each day we realise more and more things are gone. Click through to read. 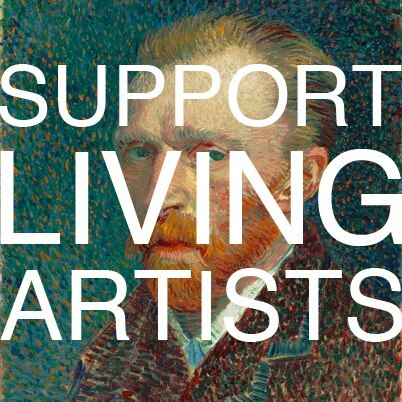 Today is International Support Living Artists day. Through the story of Vincent Van Gogh, we can see the important role that art plays within our society, and how this often goes without recognition. On this day we encourage you to celebrate your favorite local artist, purchase one of their works and share their story amongst your friends. There are Van Gogh all around you in your local community and they need your support. Don’t wait 123 years to let them know how great they are. 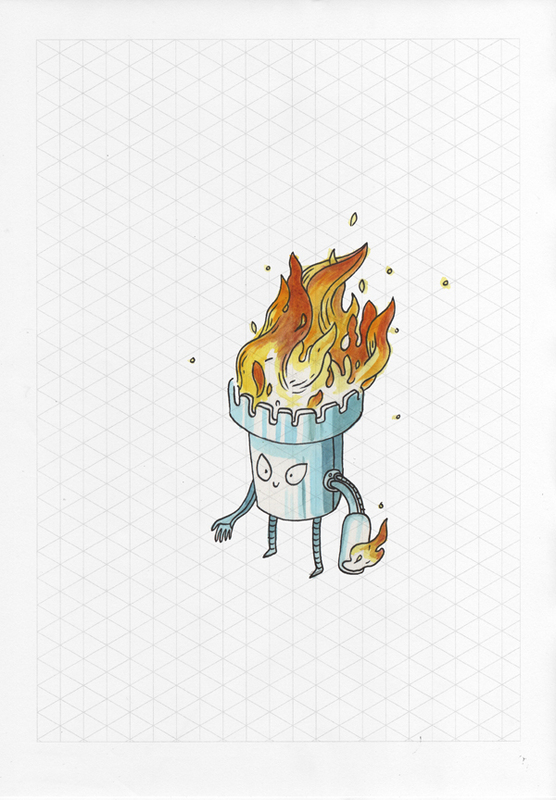 This is the new Fire Man, I wanted him to look like a gallon drum filled with fire. His almond shaped eyes have a hint of mischief about them, like he’s a little fire sprite. I think these are the scribbliest scribbles I ever done scribbled.